Nike Air Force 1 "Supreme"
I paid over $5,000 for that shoe in 2004, it was one of my first big purchases. 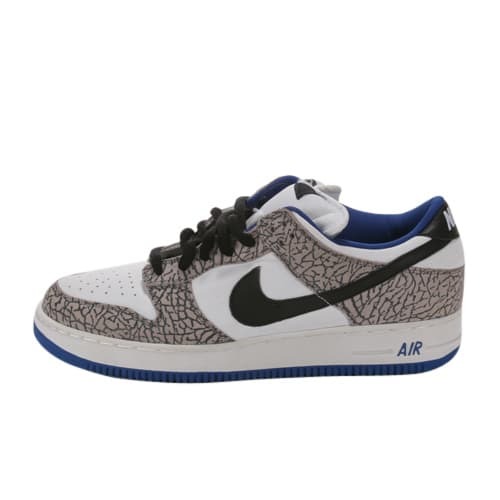 I like the shoe because it pays tribute to the Jordan through the zebra print, and then they had the Air Force 1 bottom so I had to have them. As the story goes, the original skate team for Nike SB were in the factory when the Supreme Dunks came out, so Nike made five or six Dunks with the Air Force 1 bottoms for the team.